Drew Estate announced in November their exclusive manufacturing agreement with Pappy & Company for the new “Pappy Van Winkle Barrel Fermented” premium handmade cigar. This handmade premium cigar is produced at Drew Estate’s Estelí, Nicaragua factory and is being made in partnership with Pappy & Company. Pappy & Company is the family-owned merchandise division of Old Rip Van Winkle Distillery, producers of legendary whiskies including Pappy Van Winkle bourbon. The Pappy Van Winkle Barrel Fermented cigar is a 100% long-filler, premium cigar made totally by hand in very small batches at Drew Estate in Estelí, Nicaragua. This historic cigar features a “barrel fermented” “tapa negra”-style wrapper over a Mexican San Andres base wrapper, as well as aged Nicaraguan Filler tobaccos, personally selected by Drew Estate’s Founder, Jonathan Drew. It is the perfect choice for pairing with any of the Van Winkle bourbon and rye products. The partnership between the Van Winkle family and Drew Estate will allow people to experience a flavor combination that is unique, and one that will remain consistent through time. Drew Estate is respected for cigar and whiskey pairings, so when the time came to create the Pappy Van Winkle cigar blend, they knew exactly what they wanted to do; “exceptional” was an understatement. 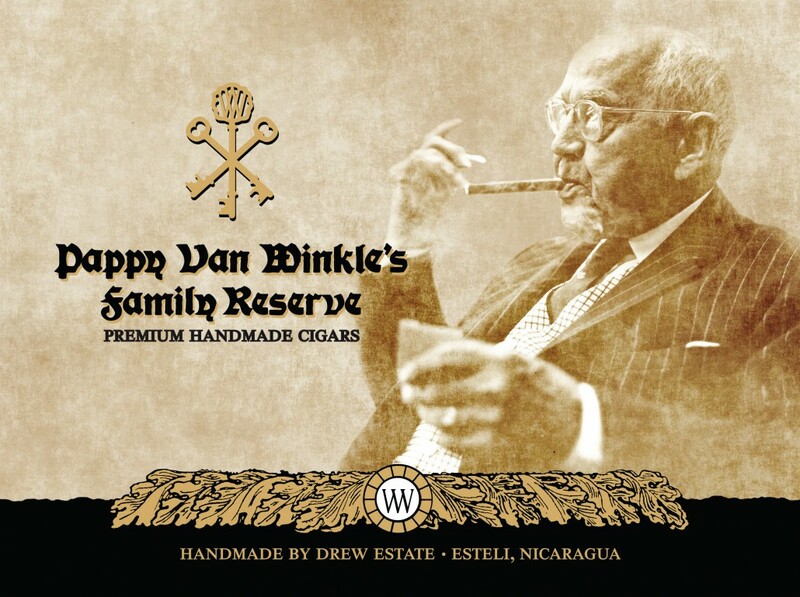 The final blend is the perfect compliment to any Van Winkle spirit, but Drew Estate’s favorite match with the “Pappy Van Winkle’s Family Reserve” cigar is the Van Winkle Family Reserve Rye. The spice notes from the rye bring out the pepper and smoke notes in the Pappy Van Winkle cigar. The cigars are available for pre-order exclusively through the Pappy & Company website.